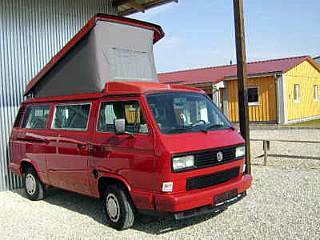 VW camper vans for sale are something you can easily find just about anywhere today. But what drives people people to buy a Volkswagen camper van is another question...Well one thing is certainly the quality and versatility of this all purpose vehicle. But then again, what's the reason to buy a thirty or forty year old camper van? Ask the people that buy and restore them to their original or even better quality. My best guess is that this is a mix between nostalgic sentimentality, great looks and versatility. Well whatever the reason, these camper vans have won the hearts of many since the late 1950's and the way things are moving along, they're bound to stay on the market for a long time. They are definitely in high demand and something that a lot of people are looking for. The older models excel of course, but the newer are not far behind. These multipurpose vehicles are currently based on five different platforms of the popular VW Kombi or the Transporter as the vehicle is known in Europe. The last generation is not available in North America do to the tax policy on imports. The Eurovan however was the last model available until 2003 and has quite a handsome demand on the market today. 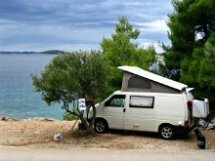 You have a large number of possible options that can be found on the web if you're looking for VW camper vans for sale. 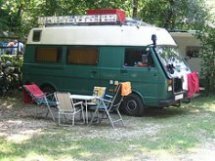 Beside private vendors, there are numerous small companies that buy, sell, import, perform camper van conversions and even restore VW Buses for a living. Try the American Go Westy for example. They deal with everything mentioned above and also keep the world famous candy store, with a lot of goodies for your camper! 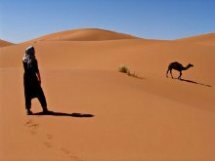 And if you want to visit one of the largest on-line communities, check out the American TheSamba and take a look what's in there for you. Here you will find loads of adds, spare parts, pictures and forums to help you out. You just might find what you're looking for. Great Britain, more then any other country in the world, has a special soft spot for these vehicles for the last decade or so. 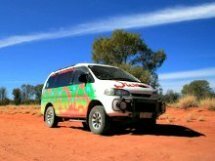 Therefore you will find a wide variety of companies, dealing with all types of Volkswagen campers. So try the British and worlwide famous Just Kampers if your looking for VW camper vans for sale or just need to buy spare parts and accessories anywhere around the world. Or go to to Holland for example, the land of great cheese, tulips and windmills. A great country to visit if you ask me by the way! When a couple of Dutch brothers develop a special relationship with VW campers and Westfalia camper vans and dedicate their life to these marvelous camper vans, well there you have it. 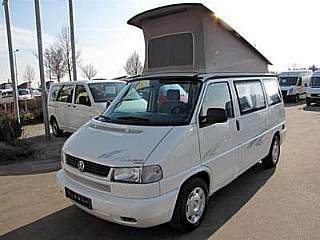 So, if you're looking for a VW camper of good quality, the Dutch PopTop is always loaded with a lot of VW camper vans for sale. Another Dutch company taking care of older and vintage models of VW campers and other vintage automobiles goes by the name Kieft & Klok. With their worldwide connections, they will even outsource a suitable vintage vehicle for your restoration project. They really have a lot to offer, so feel free to check them out. 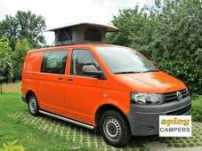 The above companies are only a few from the many more existing around the world that can help you out if you're looking for VW camper vans for sale. Rest assure, that many of these companies have been in business for a long time and most of them simply share the common passion for Volkswagen camper vans. With all the knowledge of devoted folks and worldwide connections, their bound to keep your VW camper on the road. 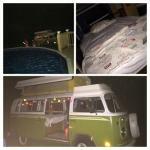 Most of these guys eat, sleep and drive in their own VW camper vans! 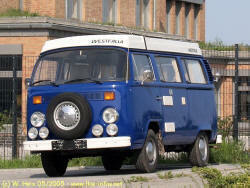 VW campers for sale, new or used are not cheap in most cases. Sure, you can search Ebay for example and you will probably find a VW camper van with a reasonable price that will suit your budget. 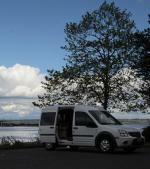 But it really all depends on the condition of the camper van you'll be looking at. So be prepared to generously open your wallet if you have your eyes peeled on a well maintained and used VW camper van for sale in top mint condition. Fully loaded with gear, 4x4 Vanagons or Californias from the late 80's go to the extremes with prices, but remember that this is an exceptional vehicle with an undercarriage initially designed for the German army, therefore it will take just about anywhere. And don't forget to be more than generous when buying a vintage Westfalia camper van or any other VW bus in it's factory or even better shape. VW camper vans have proven themselves for more then 60 years to be one of the most versatile and quality build vehicles on the road. It's a car, a camper and the ultimate family adventure vehicle, obviously with a soul. How can you otherwise explain the ever increasing number of people devoted to keep them alive?